In The Inbetween People, debut novelist Emma McEvoy weaves together the disparate narratives of a handful of desperate, disenchanted characters to demonstrate that we are all, despite our differences, doing our best to make sense of our fallen, fractured world. Much of the novel focuses on Avi Goldberg, a young Israeli imprisoned for his refusal to serve in his nation’s army. 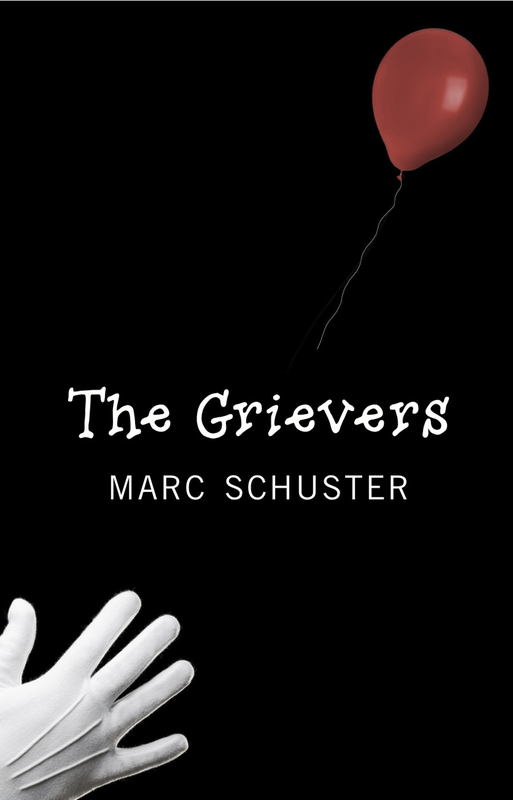 Haunted by the past, Avi lives with the ghosts of his deceased father and grandmother, the still-living mother who abandoned him in his youth, and an Israeli Arab friend named Saleem, whose senseless death left behind a vulnerable widow. As Avi recounts the details of both his own life and that of Saleem, other voices join with his to form a chorus that underscores the parallels of both lives; letters from Avi’s parents and first-hand accounts from Saleem’s widow all point to the fact that both men — and perhaps, by extension, all of humanity — experienced profound losses and personal tragedies throughout their lives. Having grown up amidst the violence and political tumult of the Middle East, both characters bore first-hand witness to the savagery that humans are capable of committing. Yet, as the novel moves forward, what emerges most clearly a distinct note of hope and a sense that we are all more similar than we are different, and that our shared salvation lies in setting the past aside and moving forward together. When I dropped by Farley’s Bookshop a few weeks ago, Jordan Krall did his best to talk me out of buying his latest novel, which was ironic since he was in the store for a book signing along with his friend and fellow author Josh Myers. What’s more, when I asked what his book was about, all he said was that it was very strange, or something to this effect. It turns out that he was right. Beyond the Valley of the Apocalypse Donkeys is a very strange book. The basic premise of the novel, loosely speaking, is that a film buff attempting to track down a copy of a rare movie titled The Apocalypse Donkey falls in love with a former stripper whose husband is a psychotic former motorcycle daredevil. Worth noting is the fact that the former stripper wears a donkey mask throughout the novel. Also worth noting is the fact that the novel opens with an epigram that reads, “Continuity is a myth.” And I’d be remiss if I didn’t point out that a giant hummingbird factors into the plot as well. And pancakes. And a murder. And for fans of Peter Davison era Doctor Who, a cricket bat. 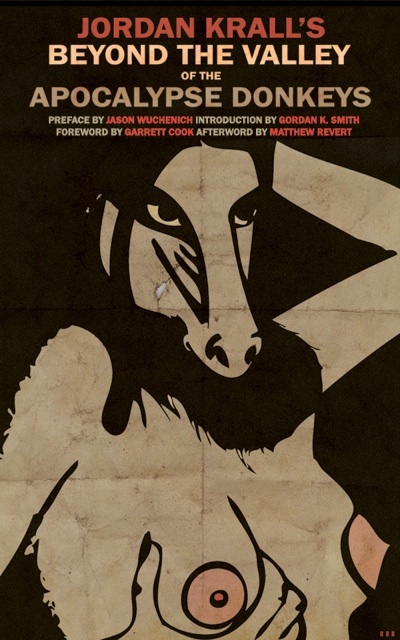 So let’s put it this way: If you’re the kind of person who would buy a book called Beyond the Valley of the Apocalypse Donkeys, then there’s a decent chance that you’ll enjoy Beyond the Valley of the Apocalypse Donkeys. 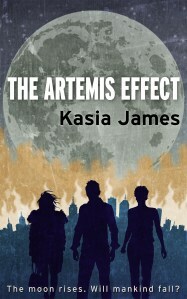 In The Artemis Effect, author Kasia James offers a compelling tale of humanity’s quest for survival in the face of an ongoing and mysterious natural disaster. The narrative centers on three characters whose lives connect with each other in subtle yet significant ways despite the fact that they live on separate continents and are largely ignorant of each others’ existence. What unites them all — indeed, what unites everyone on Earth throughout the novel — is a growing awareness that society is on the verge of a complete breakdown as a result of natural forces beyond anyone’s comprehension or control: men are inexplicably turning mindless and violent, pregnancy rates are skyrocketing, tides are rising, communication and power grids are collapsing, and the moon is gradually changing shape. While the problems that James examines throughout her novel are global and systemic in nature, she renders the proceedings on a human scale by focusing on the lives of her characters. Of course, this is only appropriate, as one of the more prominent themes in The Artemis Effect is that of community and its relationship to technology. As all forms of social and mass media break down, humanity has no choice but to redefine community on smaller, interpersonal terms, if only to ensure the survival of the species. 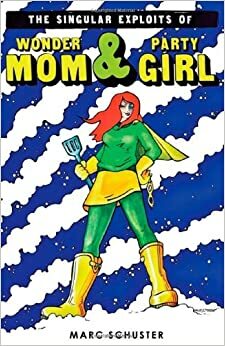 As one character notes, “We’ve got too comfortable with the benefits of satellites, so that we don’t have the skills to deal with it when they drop.” Needless to say, as the novel progresses, those skills become increasingly valuable, and survival hinges on the characters’ collective ability to adapt to the “new normal,” which is, ironically, quite a bit like the “old normal” of bygone eras. Evocative of Karen Thompson Walker’s The Age of Miracles, The Artemis Effect offers a remarkably hopeful, inventive, and even intimate tale of survival and the indomitable nature of the human spirit. We are, by nature, a species of survivors, James reminds us on every page– just so long as we remember that we need to work together. To put it another way, The Artemis Effect is a tale of the apocalypse as seen through the eyes of a hopeful romantic, an enjoyable and poignant page-turner.